CMS companies in particular need to care. Let’s say a company has global analytics tracking. Their 4 largest clients may hit 3 million events, 2.5, 2, and 1 million events per month. They may also have a handful of 100k — 250k events-per-month clients and so on into tiny client land. 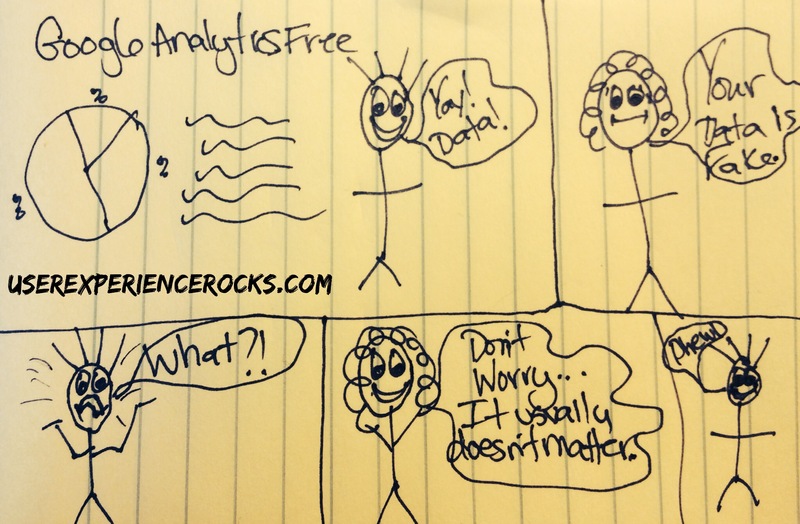 Why integrate analytics in your software designs? Because sometimes, users lie. It’s not always on purpose, in fact, most of the time it’s not on purpose. For a majority of people on earth, our memory recall is just straight up flawed. We have conducted studies in the past in which folks would tell us they use a feature on a daily basis, only to find when we pull analytics that they are using the feature MAYBE every 3-6 months. Could it be a misunderstanding on the part of the participants around which feature we’re asking about? Yep. Could it be that they just feel like they use the feature way more than they actually do? Yep again. Integrate analytics tracking everywhere you can. Google Analytics makes it extremely easy to record custom click events. Toss some of those click events on tasks you want more information about, and you’ll have a goldmine of data to draw from. It cannot tell you WHY the data is coming in the way it is. 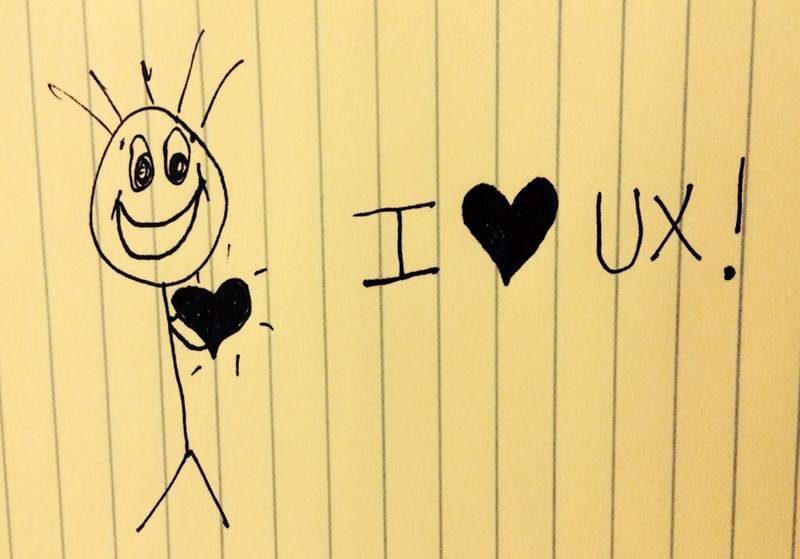 You need to perform user research with real, live people as well. Mixing and matching your methods will help develop a more complete picture of what your clients are doing and the problems you need to help them solve. UXRecorder – Mobile usability testing app (Create a native prototype in SolidifyApp and run it through UXRecorder = Fabulous). Slack – Completely streamline all of your team communications. It’s kind of magical. NotableApp – Great tool for detailed collaborative UX reviews. Part of my role as a Content Strategist and UX Editor is to keep an eye on, and harvest data on our monthly analytics, and then write an analysis report. I am a giant stats nerd and absolutely love this aspect of my job. Someone recently asked me how analytics tie into our UX strategy since our flagship product is a CMS, so I thought I’d share some insights about what our design and development teams learn from our monthly stats. 1. We learn in depth browser usage information about OUR user base. Our user base is a pretty specific group, with individualized needs. Could we look at industry averages of browser usage? Sure. Would it help us? No. Because our end users and editors have very different needs than the general public. We work with school districts, and often times the editors don’t have any control over the equipment they are given to edit in the schools, nor the browsers they have to use. So our decisions on which browsers to support, and which ones not to support are driven by OUR analytics data. Would we love to stop supporting legacy browsers? Absolutely. Would it destroy the user experience for a large percentage of our users? Yep. Some companies can make snap judgements on browser support based on industry averages, we can’t. We put the needs of our client base first, and our analytics data is a key driver in that decision making process. 2. We are able to monitor adoption rates of new product features. We launched a new feature about a year ago and started tracking it with custom events in Google Analytics. At first we had a snow rise in usage, then a few months later the usage went through the roof and our clients started raving about it. We got to watch that progression, and see how much time it took for our users to start loving that enhancement. You don’t always have instant adoption of new features which can bum you out, but watching adoption rise over time and then fly off the charts is a pretty rewarding thing! 3. We can see which areas of our product are hit the heaviest and then research ways we can improve those areas. We can also identify areas that aren’t being used as heavily, and then do additional user research to find out why. Analytics can be incredibly helpful when you’re doing analysis of which areas of your product need additional UX work or a refresh. Analytics also help identify areas that may need to be researched further, to help identify why users are ignoring them. 4. We can monitor which help materials are being accessed the most, and use that data to review the areas that are causing our users confusion. Sometimes if a person gets stuck, they call or email asking for help, but more often than not, folks use our online resource center. So in reality, the areas folks are calling about, may not be the areas causing the most client frustration, since most people hit the online help before they call. Being able to see analytics that show how folks are using our help materials helps us identify usability issues quickly, and then we are able to follow up with additional user research to find out which aspects of those areas are specifically causing confusion. 5. We have a direct view of how mobile is being used by our client base. Mobile is here to stay obviously, and we have awesome mobile solutions for our clients. We have responsive site templates, mobile web apps, iPhone apps, and Android apps that are all fed data from our single CMS. I absolutely love the power behind our system, and how much time it’s saving our clients by letting them COPE (Create Once Publish Everywhere)! I am able to see our mobile growth each and every month, and it’s fascinating. I can see how many people are using phones vs tablets for editing and viewing, I can see which devices are most prevalent. I can see the absolutely huge divide between iPhone users and Android users in our viewing audience (Last month our app downloads were 83% iOS and only 17% Android! Our visitors are apparently huge Apple fans!). It’s extremely helpful for us from a design standpoint to see how our clients and their visitors are using tech to consume content. It helps give us perspective as we design new products and features. There are about a million other exciting things you can learn by tracking analytics to improve your site or product UX, I could add about 900 more bullet points, but this post this is just a small teaser to get you started. 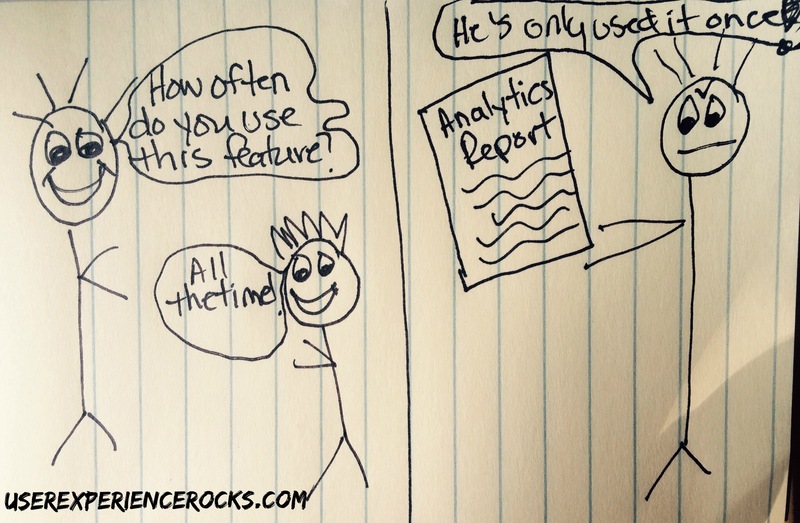 I just want to reiterate how powerful integrating analytics into your UX strategy can be! Analytics data isn’t just a tool for marketing teams; product designers and developers can benefit from analytics data in a huge way too!